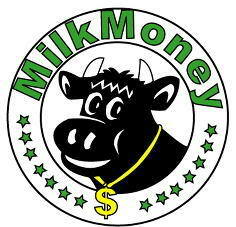 Aspiring dairy producers in the state of Missouri can now apply for some "milk money". The Missouri Department of Agriculture has announced that the Missouri Agricultural and Small Business Development Authority is now accepting applications for their newly developed Dairy Business Planning Grant Program. The unique program is designed to help dairy producers in the state to become more successful. The financial assistance will help them to better work with qualified dairy business planning professionals to develop a business plan to facilitate a start-up, improve profitability, increase production and encourage modernization and expansion of dairy farms. Up to $5,000 in cash will be awarded to grant recipients, but the grant amount is not allowed to finance more than 90% of the cost of the business plan. They are requiring the dairy producer to pay at least 10% of the cost. The hard deadline for the grant is at 5pm on November 1, 2010, and the applications will be scored competitively. For more details, interested ones should visit http://mda.mo.gov. They can also call the Missouri Department of Agriculture at (573) 751-2129 or send an email to masbda@mda.mo.gov.